Cameron Park Country Club offers a variety of memberships that allow Members to choose what best suits their lifestyle. 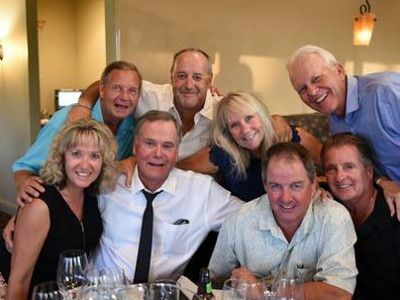 Right now is a great time to join the Jewel of the Foothills and enjoy award winning golf and friendships that will last a lifetime! Allows the designated proprietary member, spouse and children under the age of 21 full golf and clubhouse privileges as set forth in the by-laws. Memberships are proprietary, voting, assessable, can serve on numerous committees, and if elected, the Board of Directors and are transferable only in accordance with provisions of the by-laws. Allows the designated member, spouse, and children under the age of 21 full golf and clubhouse privileges as set forth in the by-laws. Memberships are non-proprietary, non-voting, non-transferable, assessable, and can serve on numerous committees. A 12 month commitment is required after which a 60-day resignation notice can be accepted. Allows the designated member, spouse –both between the ages of 21 & 39-- and children under the age of 21 full golf and clubhouse privileges as set forth in the by-laws. Memberships are non-proprietary, non-voting, non-transferable, assessable, and can serve on numerous committees. A 12 month commitment is required after which a 60-day resignation notice can be accepted. Allows the designated member full golf & clubhouse privileges, and allows spouse and children under the age of 21 clubhouse privileges as set forth in the by-laws. Memberships are non-proprietary, non-voting, non-transferable, assessable, and can serve on numerous committees. A 12 month commitment is required after which a 60-day resignation notice can be accepted. Allows the designated member, spouse, and children under the age of 21 clubhouse & limited golf (4 rounds per month shared) privileges as set forth in the by-laws. Memberships are non-proprietary, non-voting, non-transferable, assessable. A 12 month commitment is required after which a 60-day resignation notice can be accepted. Allows the designated member, spouse, and children under the age of 21 clubhouse & limited golf (1 person, 1x per month; 6x per year—must pay green fees) privileges as set forth in the by-laws. Memberships are non-proprietary, non-voting, non-transferable, assessable. A 12 month commitment is required after which a 60-day resignation notice can be accepted. Allows the designated teen (age 13 through 20th birthday) access to the golf course after 1pm per Pro Shop discretion, practice facilities & putting green, as well as limited access to the lower lounge. This classification comes with limited club charging privileges (set by parent) and no voting rights. The program has a cap of 20 teenage memberships. Applicants must live on the west slope of El Dorado County to East Folsom and will be thoroughly screened including a golf etiquette orientation with the Head Golf Professional prior to approval. A 30 day resignation notice is required. For membership inquiries or club tour appointments, please call 530-777-5050.